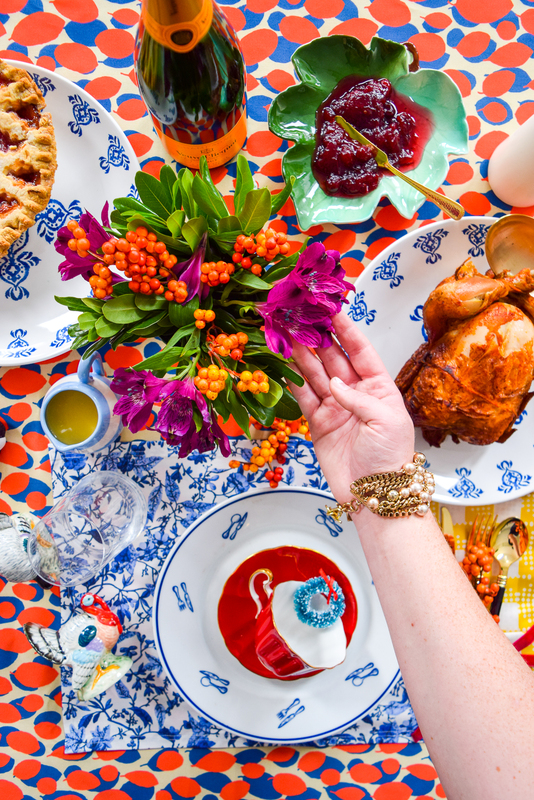 Celebrate the holiday season by transforming a family recipe into the perfect gift using Emma Jeffery’s tried and true Handwritten Recipe Tea Towel Tutorial. 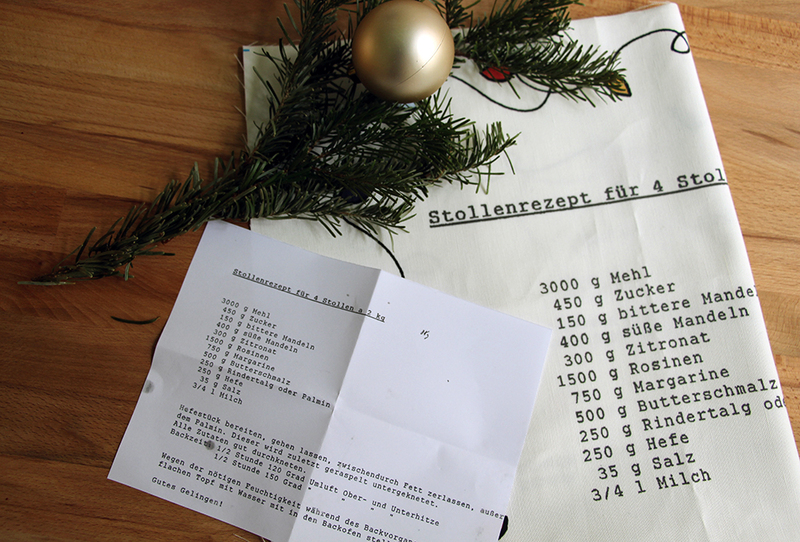 Spoonflower Berlin crew member Maria shares how she put a German twist on this project using her father’s Stollen recipe in the next installment of our Handmade Holiday Blog Hop! 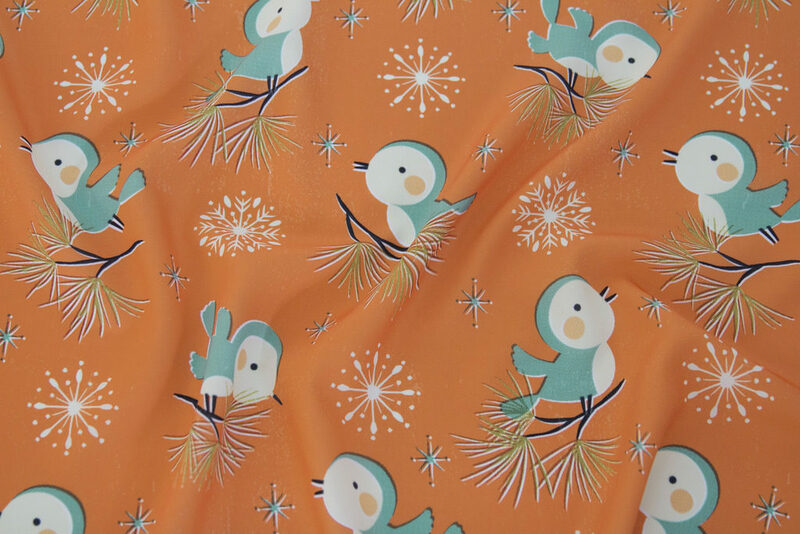 Vintage Ditsy Mistletoe by babybubbleco is the winner! 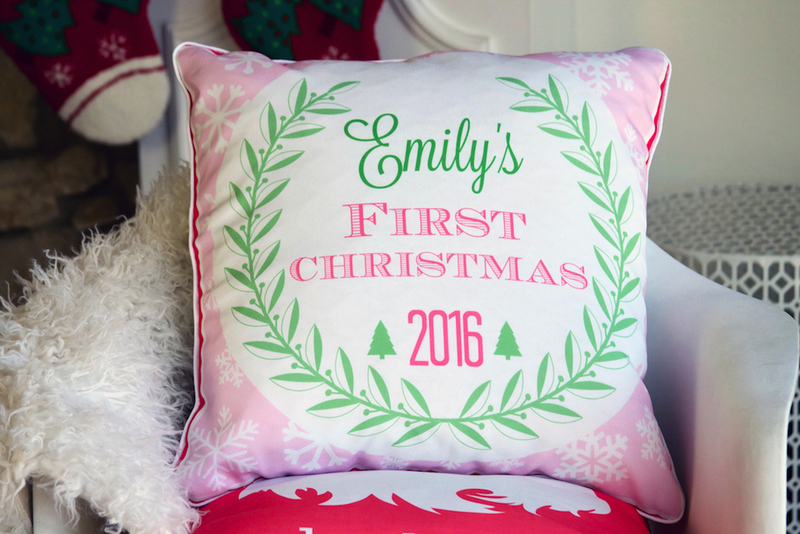 Congratulations to first-time Design Challenge winner Gina of Babybubblco! 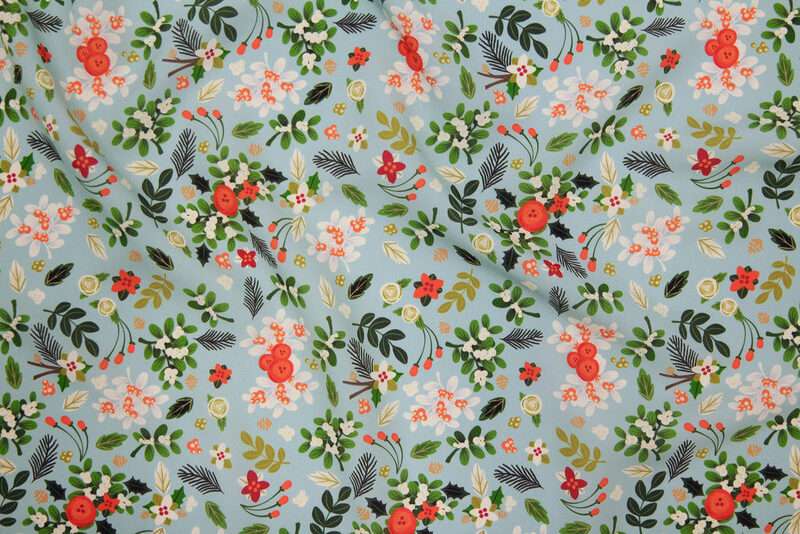 We were absolutely smitten with her Vintage Ditsy Mistletoe. Gina will receive a Lane Raglan tee with white glove service from our sister brand, Sprout Patterns. 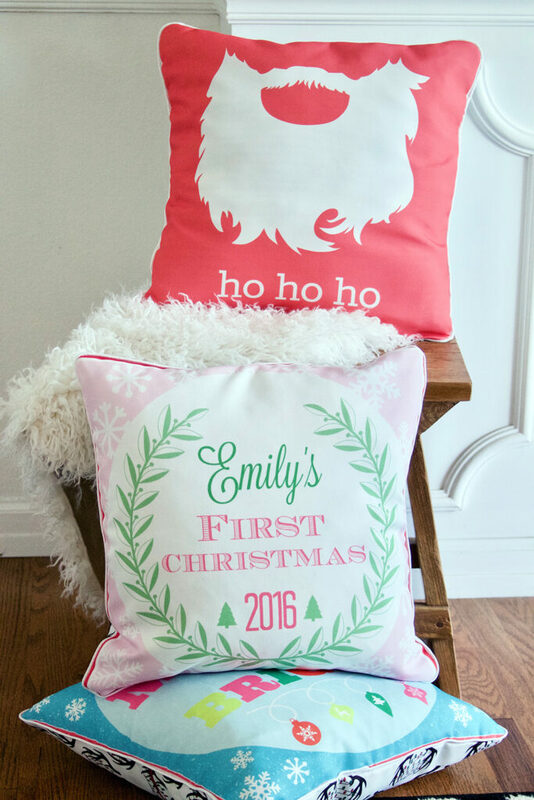 Gina will also receive $200 in Spoondollars, professional photography of her printed designs, and lots of email and social media love. 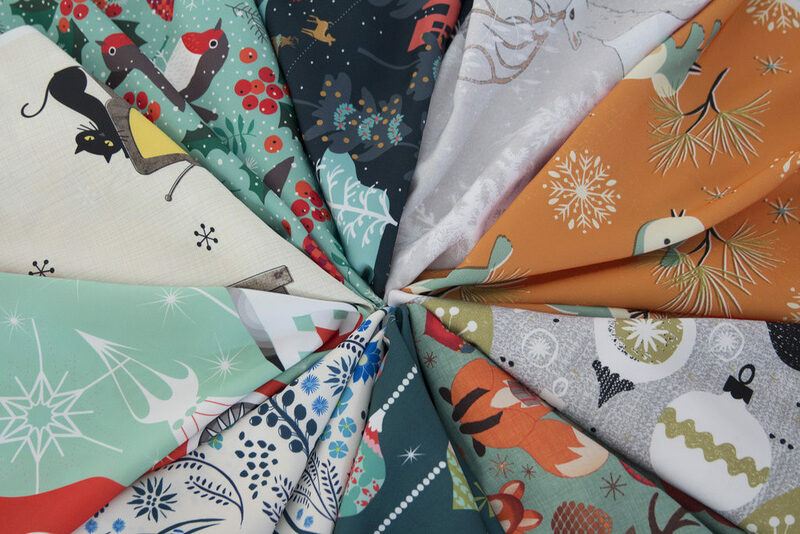 Shop all of the lovely top 10 winners here, and why not pick up a few fat quarters at half-off through Friday? 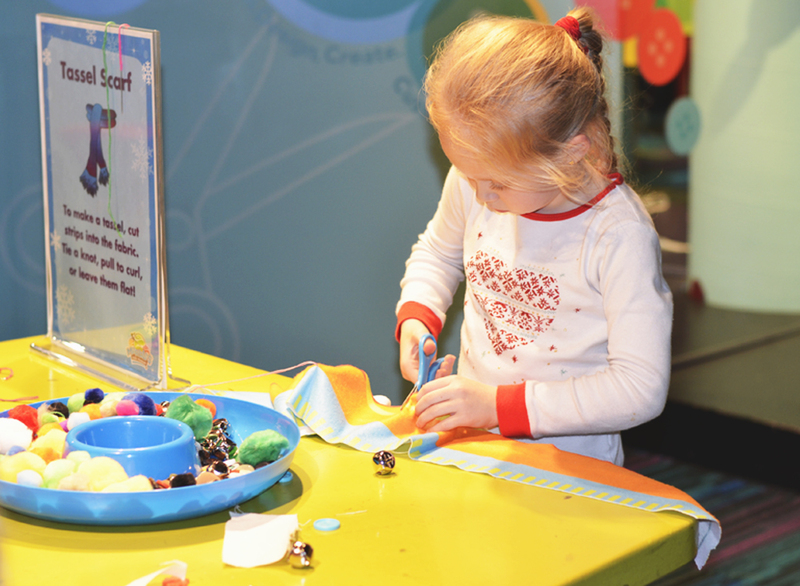 This past October, with the help of Marbles Kids Museum, Spoonflower got in the Halloween spirit at the annual Kooky Spooky Halloween party. 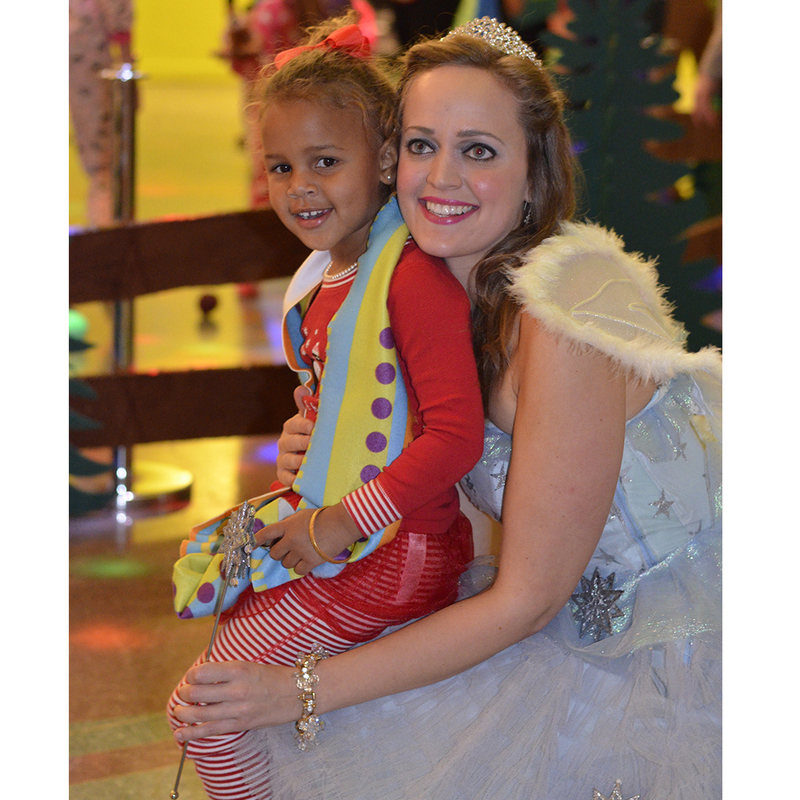 Just two months later, Marbles was getting into the holiday spirit transforming the museum from a haunted mansion into a winter wonderland for Evening with Elves. 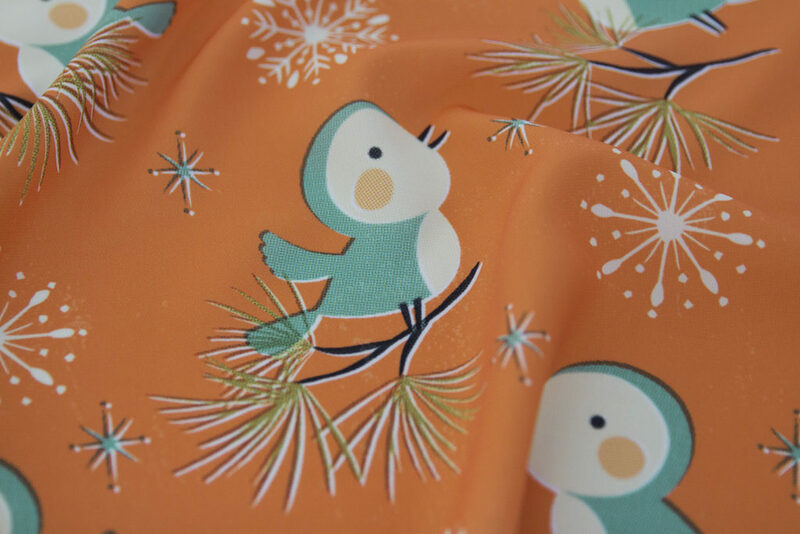 Today, the Marbles team visits the blog to give you a closer look inside the transformation and show how they used Spoonflower’s Performance Pique and Fleece to make it all happen. Looking for a fun advent calendar to make and use for years to come? 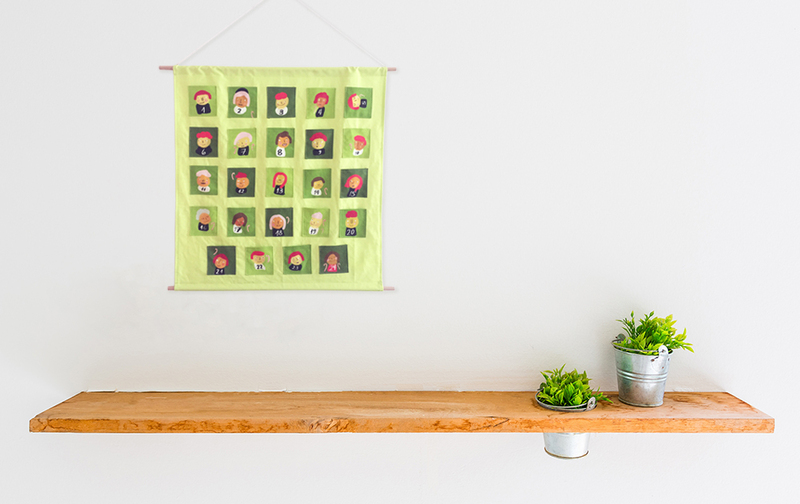 Our super creative friend Anda Corrie of Berlin visits the blog to share a simple cut-and-sew advent calendar she created that fits on one yard of fabric. Read on for the full how to! Anda: Like me, do you usually wait until it’s way too late to create the Pinterest-worthy advent calendar of your dreams and end up stuck with a printed paper box from Kaiser’s? Make this pocket-style hanging calendar easily in one afternoon instead—and use again year after year! Winner! Vintage Christmas by Petite Circus won first place! Big congratulations are in order for our grand-prize winner, Kate Fearn of the UK (aka Petite_Circus)! Kate will receive $350 in cash and her winning design will be licensed for an exclusive collection of customizable Commonthread stockings to be sold this winter. Kate also takes home a $100 shopping spree to Commonthread and $350 in Spoondollars. 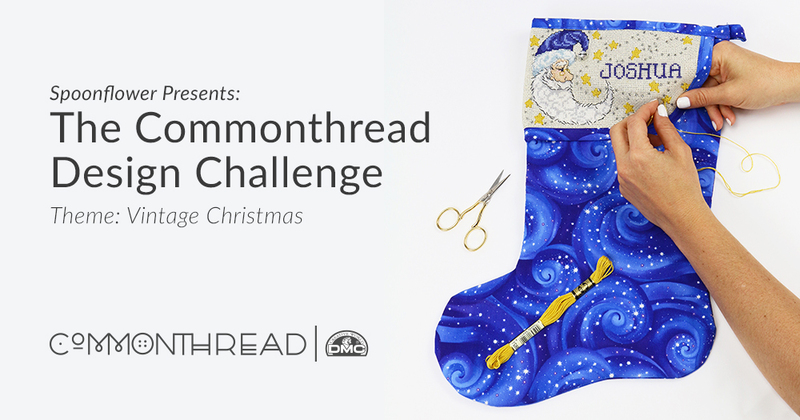 Heleen in second and Jill in third place have won $100 in Spoonflower and $100 in Commonthread credit, and the rest of the top ten take home $50 in Spoonflower credit and $50 in Commonthread credit. Give them all a big round of applause! 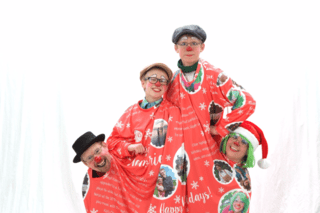 Holiday season newsletters that provide a year-end update of family news have entered a new era thanks to a family of clowns from Minnesota, which has invented the world’s first wearable newsletter. It takes the form of a floor-length onesie built for four, which the Chalmers family of Rochester, Minnesota, is climbing into this festive season in a bid to pioneer a unique new form of year-end newsletter. It may also be the world’s largest newsletter, with a surface area of nearly 50 sq. ft.
Diane and Greg Chalmers and their sons, Garron, 13, and Keenan, 10, plan to model their newsletter during family visits over the holidays. 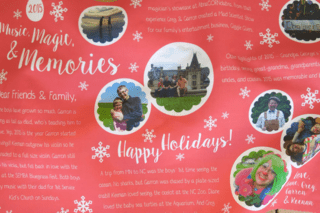 Their one-piece, wearable newsletter is, they feel, the perfect way to show seasonal togetherness, while delivering the year’s family news in a distinctive new format. Diane, 39, and Greg, 41, have been sending a holiday season newsletter to family and friends for about 15 years. It provides the usual year-end update of family happenings at home, work, school and on vacation. They therefore printed this year’s newsletter on fabric using Spoonflower. They picked a stretchy, polyester fabric that allows some forgiveness in sizing. Indeed, the Chalmers family are not the only ones who will be sporting one this holiday season. 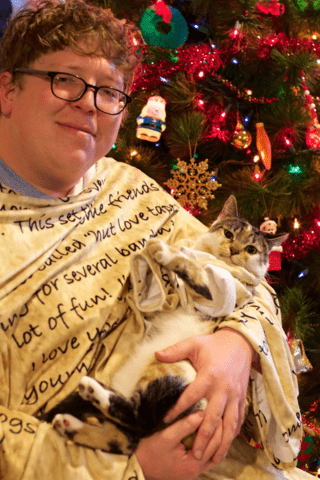 Joe Wright, an employee of Spoonflower, as well as an artist and serial writer of year-end newsletters, is also wearing his this year in the form of a floor-length robe or “snugzee”. He has even made a matching one for his cat Lucy, the first known example of a newsletter custom-made for a cat. Meanwhile, Doug Hughes of Santa Clara, California, previously known as the author of the world’s longest Christmas newsletter, in the form of a 160-page book, has now produced the world’s widest, by using Spoonflower to print this year’s newsletter on six-foot roll of gift-wrap. He is using it to wrap a Christmas greeting card printed on fabric as a tea-towel. A growing number of people are now also producing video newsletters. 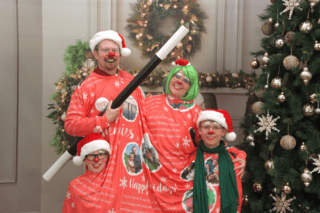 The most striking recent example was a rap video newsletter called “Xmas Jammies”, produced two years ago by the Holderness family of Raleigh, North Carolina. It went viral and by now has over 16 million views on YouTube. The Chalmers family newsletter itself carries news of everything from the children’s progress on their musical instruments to Grandpa George’s 70th birthday and the family vacation to North Carolina, where the boys saw the ocean for the first time. Those close family members, meanwhile, whom the Chalmers are unable to visit personally will instead be receiving the same news but printed on a tea towel, also via Spoonflower. Greg is the only full-time clown in the family, Diane has a day job as a project manager in IT. But the whole family performs regularly together as a clown troupe known as Giggle Givers. They entertain at children’s parties, school events, churches, parades and company picnics. wagon off-stage before our skit started; so, we just pulled it on stage with us,” says Diane. "He woke up at the end of our performance, sat up, and looked at the audience, who went wild with applause." 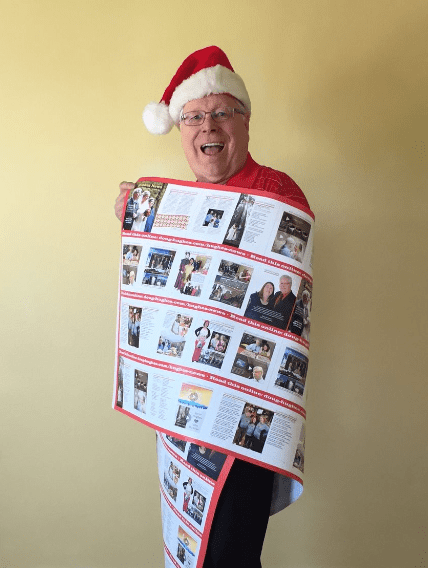 First he published the world’s longest Christmas newsletter, as a 160-page book; now, he’s published the world’s widest, on a six-foot roll of gift-wrap. If writing year-end family newsletters were an extreme sport, Doug Hughes of Santa Clara, California would surely be world champion. 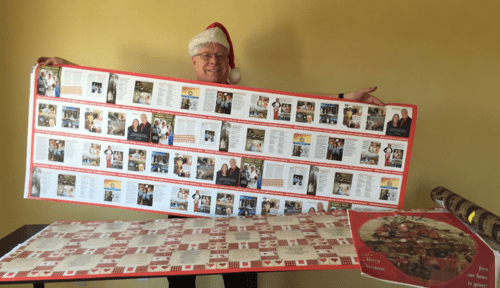 Ten years ago he set a world record – unbeaten to this day – for the longest Christmas newsletter, when he published his family’s as a 160-page paperback book. This year he’s back, with a different record – for the world’s widest newsletter. He has used Spoonflower to publish the 2015 edition of the family’s annual newsletter – known as “Hughes News” – on a roll of gift-wrap, six feet wide by just over two-foot high. Doug, 66, and his wife Diane, 58, are then using the gift-wrap to wrap a unique festive greeting card printed by Spoonflower on fabric in the form of a tea-towel. This year’s newsletter is the latest shot in Doug’s decades-long campaign to change the image of the oft-maligned end-of-year family newsletter. Apart from the year that they produced their annual missive as 160-page book, the Hugheses have been sending out a 16-page family newsletter each year for the past 30. Their 2015 newsletter contains all the Hughes family news fit to print, from news of daughter Karin’s wedding to photos of a cruise to celebrate the 80th and 85th birthdays of Diane’s parents… plus some of the Christmas carol parodies that Doug pens each year. 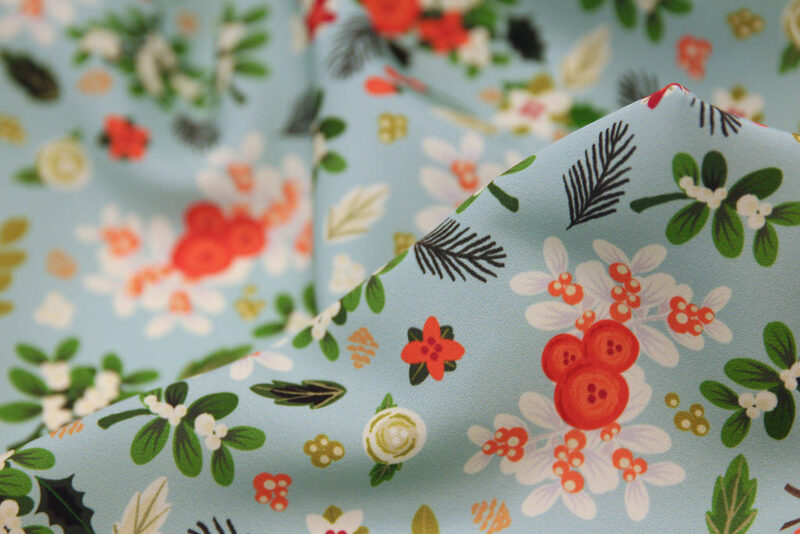 It is printed on the gift-wrap in a repeating pattern. The tea-towel, meanwhile, depicts a unique pyramid of popcorn tins and stuffed animals that the Hughes family erects each year in their entryway. Doug was inspired to try something new for this year’s newsletter by the 30th anniversary of Hughes News, the 25th anniversary of his marriage to Diane and the tenth of the publication of the world’s longest newsletter in 2005.